Missing the "sport" in "sport sedan"
The 2010 Hyundai Genesis is a power play for luxury credibility-and it's just about the equal of mid-size luxury rivals from Lexus and Infiniti. TheCarConnection.com's editors have driven the Hyundai Genesis for this hands-on road test. Editors also have driven competitive vehicles and compared the Genesis to other full-size luxury sedans. TCC's companion Full Review sums up the observations from other respected car Web sites, to bring you a comprehensive view of the new Genesis from a variety of expert sources. The 2010 Hyundai Genesis is a sporty rear-wheel-drive luxury sedan that takes the top position in Hyundai's lineup, above the front-wheel-drive Azera. In its second year of production, the Genesis returns with an updated navigation system, a new adaptive cruise control option, and other minor trim adjustments. With a base price of about $33,000 for V-6 versions and $38,000 for the V-8 edition, the Genesis claims larger luxury sedans like the Mercedes E-Class and BMW 5-Series as its competition-though it naturally lines up against such sedans as the Chrysler 300, Lexus GS, and Infiniti M as well. With the Genesis, Hyundai approaches design from a new perspective. There's real sophistication in the sedan's flowing roofline and its wide grille that's been missing from the company's cars. It's proportioned as smartly as most European and Japanese sport sedans. And though its styling cues seem more familiar than fresh, it does have it share of distinct pieces, like its bright, wide grille. Also distinct: a lack of "Hyundai" badges. Inside, there's more experimentation-and it's successful. It's not as derivative, with gentle curves and a dashboard that lifts controls high, to leave a slimmer center console and more interior space. Some trim levels offer leather-wrapped dash and door panels, and they're quite striking. The 2010 Genesis offers upscale shoppers a choice of two engines, though both share ride and handling that's considerably softer than those of comparable German sedans. The base engine is a 290-horsepower, 3.8-liter V-6; a powerful 375-hp, 4.6-liter V-8 is the upgrade option. Even with the V-6, performance is swift, but the V-8 is truly quick, particularly so for the price class. A six-speed automatic shifts gears in both, and it's invisible in its action. Both engines are reasonably frugal, with even the V-8 earning EPA ratings of 18/27 mpg. The Genesis' independent suspension has multiple links and lightweight aluminum construction for nimbler response, but the big Hyundai sedan's tuned more toward the comfort zone. It doesn't have the steering crispness or the taut ride quality of a Benz or BMW, but it strikes a good balance of comfort and responsiveness. The Genesis is Hyundai's first true luxury sedan, and it's clear the automaker put a priority on interior room. 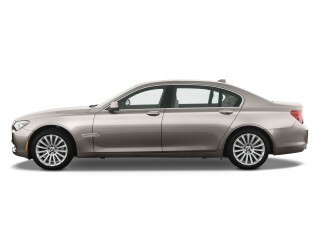 The long wheelbase gives front and rear passenger ample leg- and headroom, so it's a true five-seat sedan. In front, bucket seats are padded and formed well, not thickly bolstered as sports sedans might be, but cozy, with good knee room. The backseat's legroom is outstanding-much more spacious than most sport sedans. Trunk space is considerable, and interior storage in the console, glove boxes, and door panels is good. The Genesis' build quality and refinement is far ahead of those of even more recent, well-done Hyundais, and truly competitive with Japanese brands. There's leather, tightly grained plastic, laminated glass to damp noise, and plenty of handsome detailing. The 2010 Genesis has extensive safety equipment and earns top safety scores from both NHTSA (National Highway Traffic Safety Administration) and the IIHS (Insurance Institute for Highway Safety). Eight airbags in all-dual front, side curtain, and front and rear-seat side airbags-are standard, along with stability control and anti-lock brakes. Outward visibility is good, and the Genesis now offers adaptive cruise control to go with its available rear camera and front and rear parking sensors. The 2010 Genesis has a smart array of standard luxury and entertainment features. They include dual-zone automatic climate control; a sunroof; cruise control; power doors, locks, heated mirrors, and heated seats; leather upholstery; Bluetooth; and a seven-speaker, AM/FM/CD/XM audio system with an auxiliary jack and a USB port. 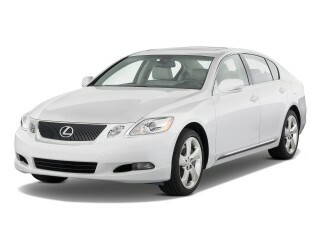 The V-8 Genesis adds premium leather on the seats and on the dash, as well as rain-sensing wipers and a rear sunshade. A new touch-screen navigation system is standard on the V-8 and available on the V-6 sedan; it includes XM NavTraffic. A Technology Package adds ventilated front seats, adaptive headlights, and an electronic parking brake. TheCarConnection.com recommends the optional 500-watt Lexicon sound system, which comes with 17 speakers, HD Radio, and exceptional sound quality. The 2010 Hyundai Genesis blends into the luxury crowd-a good thing-and strikes new ground with mostly well-conceived interior styling. The Hyundai Genesis is a sporty rear-wheel-drive luxury sedan that takes the top position in Hyundai's lineup, above the front-wheel-drive Azera. In its second year of production, the Genesis returns with an updated navigation system, a new adaptive cruise control option, and other minor trim adjustments. With a base price of about $33,000 for V-6 versions and $38,000 for the V-8 edition, the Genesis claims larger luxury sedans like the Mercedes E-Class and BMW 5-Series as its competition-though it naturally lines up against such sedans as the Chrysler 300, Lexus GS, and Infiniti M as well. With the Genesis, Hyundai approaches design from a new perspective. 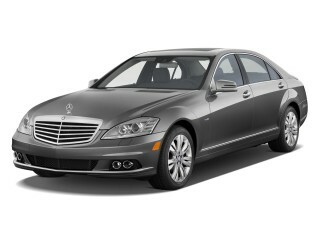 There's real sophistication in the sedan's flowing roofline and wide grille that's been missing from the company's cars. Edmunds notes, "This Hyundai looks and feels very much like a top-line Lexus." It's proportioned as smartly as most European and Japanese sport sedans from Europe or Japan. Car and Driver best sums up all the cues, pointing to "a bit of S-Class in the headlights, a hint of Lexus GS in the hood, some 5-series in the taillights, and a BMW- or Nissan-like kink in the C-pillars." Car and Driver says, "In contrast to the advanced engineering in the Genesis, the styling is more cautious,"
Automobile assesses the Genesis's overall effect as "at worst benign, the car assuming a kind of generic upscale visage." And though its styling cues seem more familiar than fresh, it does have it share of distinct pieces, like its bright, wide grille. Also distinct: a lack of "Hyundai" badges. Inside, there's more experimentation-and it's successful. It's not as derivative, with gentle curves and a dashboard that lifts controls high, to leave a slimmer center console and more interior space. "The soft curves of the sweeping dashboard architecture are complemented by an elegantly adorned center stack," Edmunds reports; they add, "the instrument panel's white-on-black electroluminescent gauges look like they came straight out of a Lexus." Some trim levels offer leather-wrapped dash and door panels, and they're quite striking, though Motor Trend takes issue with the "unconvincing fake wood appliqués" on base versions. Most reviewers agree with Car and Driver, which asserts, "if the exterior sets modest expectations, the interior exceeds them." The 2010 Hyundai Genesis lacks the dancing skills that its specs imply, but it'll hustle. The 2010 Genesis offers upscale shoppers a choice of two engines, both of which share ride and handling that's considerably softer than those of comparable German sedans. The base engine is a 290-horsepower, 3.8-liter V-6; a powerful 375-hp, 4.6-liter V-8 is the upgrade option. Car and Driver notes that the engine's output of 375 hp on premium fuel "puts the engine in a fairly exclusive crowd," but several other reviewers point out the lack of direct-injection technology in the V-8 engine, surprised by such an omission on a new engine. Even with the V-6, performance is swift-BusinessWeek says, "even the smaller engine is powerful enough to inspire confidence"-but the V-8 is truly quick, particularly for the price class. Car and Driver reports the Genesis's 5.6-second 0-60-mph time puts it "in with the lofty company it aspires to compare with." Hyundai states the V-6 car will run from 0-60 mph in 6.2 seconds, and the V-8, in 5.7 seconds. The V-6 version can reach 130 mph, while the V-8 tops out at 155 mph. A six-speed automatic shifts gears in both, but the different versions have different origins. Automobile clarifies that the Genesis actually gets two distinct automatic transmissions: an Aisin with the V-6 and a ZF with the V-8. Motor Trend reports "the Aisin gearbox isn't as smooth as the 4.6's ZF unit, however, and can be jerky when dropping through several gears when the accelerator is mashed to the floor." BusinessWeek observes a manual shift mode, but "there's no ‘sport' mode to quicken shifting response, a feature offered by many of the Hyundai's competitors." Several reviews notice the omission of steering-wheel paddle-shifters-now almost a requisite feature in sport sedans. Both engines are reasonably frugal, with even the V-8 earning EPA ratings of 18/27 mpg. Popular Mechanics commends the V-8's fuel economy numbers, declaring them "right in line with the best of the segment." The Genesis' independent suspension has multiple links and lightweight aluminum construction for nimbler response, but the big Hyundai sedan's tuned more toward the comfort zone. It doesn't have the steering crispness or the taut ride quality of a Benz or BMW, but it strikes a good balance of comfort and responsiveness. The suspension, according to Car and Driver, "is as sophisticated as they come," and produces "well-controlled drive motions" and "predictable handling." "Push it hard, though, and the front tires scrub into the pavement," warns Motor Trend, though they also note "the Genesis does handle quite well for its size." Car and Driver says "the Genesis is tuned more for Lexus-like isolation than BMW-like involvement," but Popular Mechanics bluntly states, the Genesis "felt like it was floating through a bucket of marshmallow fluff" when pushed hard. While the V-6 car has reasonably communicative steering, the V-8's electrohydraulic system has "a disappointing lack of steering feel," reports Automobile. They appeal for more sporting edge all around: "for a sedan that so unabashedly aims for the best from Germany, it still needs a more Teutonic tilt to the chassis tuning." The plush 2010 Hyundai Genesis provides plush surroundings for five adults. The Genesis is Hyundai's first true luxury sedan, and it's clear the automaker put a priority on interior room. 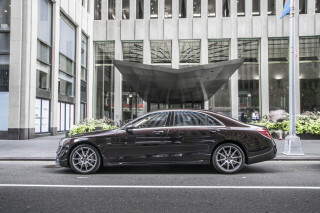 The long wheelbase gives front and rear passenger ample leg- and headroom, so it's a true five-seat sedan. "Every single passenger dimension on a spec sheet is more ample in the Genesis than in any of its competition," said Winding Road. Though it doesn't quite have the rear-seat space of a long-wheelbase 7-Series or Lexus LS, the Genesis qualifies as a "large" sedan according to EPA guidelines, notes Automobile. In front, bucket seats are padded and formed well, not thickly bolstered as sports sedans might be, but cozy, with good knee room. "The seats are as comfortable as they appear," says Edmunds, "although they lack the kind of firm, highly bolstered Germanic treatment a sport sedan enthusiast might enjoy." BusinessWeek "found the front seats surprisingly uncomfortable," though "they're too flat...with inadequate side-bolsters." The backseat's legroom is outstanding-much more spacious than most sport sedans, though to TheCarConnection.com's editors, the deep seating position can seem a little too low. Trunk space is considerable, and interior storage in the console, glove boxes, and door panels is good. "The trunk offers a capacity of 15.9 cubic feet," Edmunds says," and although the rear seat does not fold down, there is a pass-through feature." BusinessWeek contends that pass-through is "small" but can "accommodate long objects." The Genesis' build quality and refinement is far ahead of those of even more recent, well-done Hyundais, and truly competitive with Japanese brands. For noise control, the opinions are unanimous. Popular Mechanics mentions the "thick levels of engine sound damping," while Winding Road declares, "Wind, road, and engine noise are at or close to segment best." Popular Mechanics also relishes the isolation inside, saying "there was very little noise intrusion inside the cocoon-like cockpit of this quiet sedan." The Genesis' fit and finish are excellent, with leather, tightly grained plastic, and plenty of handsome detailing. "Touches of wood trim are available on the gearshift, center console and armrests," BusinessWeek observes, "combining elegantly with the two-tone leather." First-drive reviews are at odds about assembly quality; since many of those reports are from early prototypes, we've omitted the comments from this full review. Newer reviews suggest the details have been massaged. "Fit and finish, stitching, touch, materials, and integration are all very good," raves Autoblog, while BusinessWeek says, "Everything in the Genesis seems sturdy and well-made." Car and Driver sums up most opinions when it comments "the Genesis isn't just the best-appointed Hyundai, it's good enough to be judged against established marques." The 2010 Hyundai Genesis is among the safest vehicles of its kind. 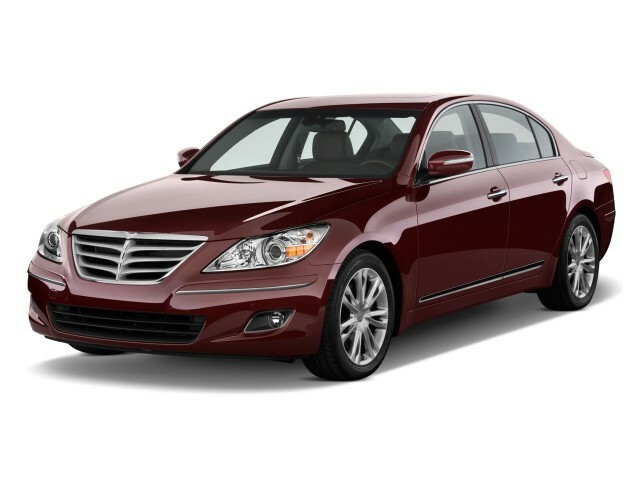 The 2010 Hyundai Genesis has extensive safety equipment to go with its class-leading safety scores. The Genesis was new last year, and both major crash-test organizations gave it the highest scores available. NHTSA (National Highway Traffic Safety Administration) awarded the Genesis five stars in all front, rear and side-impact tests. The IIHS (Insurance Institute for Highway Safety) gave the Genesis "good" marks for its more rigorous tests, and with the fitting of standard stability control, the Genesis earned its Top Safety Pick award. The 2010 Genesis sports eight airbags in all-dual front, side curtain, and front and rear-seat side airbags-as standard equipment, along with stability control and anti-lock brakes. Edmunds calls that a "full complement of active and passive safety features." The 2010 Hyundai Genesis brings a big bag of features to the luxosedan party, but it's missing a few of the options found on the competition. 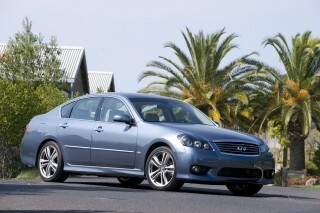 The 2010 Genesis has a smart array of standard luxury and entertainment features. They include dual-zone automatic climate control; a sunroof; cruise control; power doors, locks, heated mirrors, and heated seats; leather upholstery; and a seven-speaker, AM/FM/CD/XM audio system with an auxiliary jack and a USB port. The V-8 Genesis adds premium leather on the seats and the dash, rain-sensing wipers, and a rear sunshade. A new touch-screen navigation system is also standard on the V-8 and available on the V-6 sedan; it includes XM NavTraffic and Bluetooth. Motor Trend observes the Bluetooth system "is a stand-alone piece and isn't integrated into the audio system, but it works." A Technology Package adds ventilated front seats, adaptive headlights, and an electronic parking brake. TheCarConnection.com recommends the optional 500-watt Lexicon sound system, which comes with 17 speakers, HD Radio, and exceptional sound quality. The 2010 Hyundai Genesis uses a centralized, screen-driven control system similar to BMW's iDrive, called the Driver Information System, and reviews admire its functionality. Motor Trend declares, "it works much better, with controls duplicated elsewhere on the dash." Edmunds also applauds how some frequently used controls are "thankfully made redundant with more ergonomically friendly controls on the steering wheel or by the multimedia controller on the center console just aft of the shift lever." Autoblog says "credit goes to Hyundai for creating an IP interface that we like almost as much as the Jaguar XF's," and Popular Mechanics notes that the system enables "full control of an iPod through the head unit." The few omissions on the Genesis' features list include paddle shifters, an integrated Bluetooth setup, voice controls for the audio and navigation (a system like Ford's SYNC is in the pipeline), and all-wheel drive, "something that's available on rivals such as the Audi A5, Acura TL, and BMW 328xi," BusinessWeek points out.